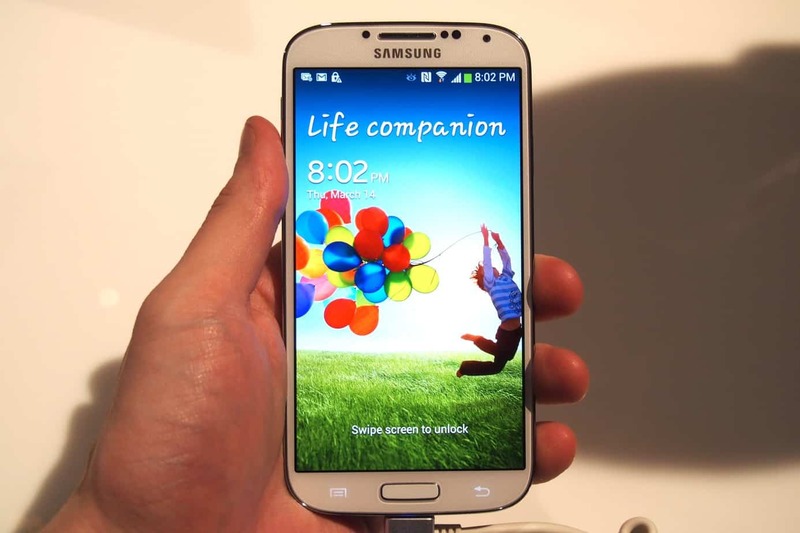 Galaxy S4 was already reported to have lag issues and WiFi issues. Now another problem that can be found on all Galaxy S4 models around the world is the purple smearing issue on the screen. With so many issues already, Samsung should start making statements, or users will not feel so comfortable buying the device until the problems are fixed. First of all, let me explain what the smearing issue is, and then you can test it yourself. The smearing can be noticed while scrolling up and down on a black background. If you have grey items on the screen, the grey turns purple while you scroll. You get purple smearing while scrolling on a dark background and the effect is even more easily noticeable when the brightness is set to low. The issue was already debated on Xda’s forum by lots of users and seems to be world wide spread. 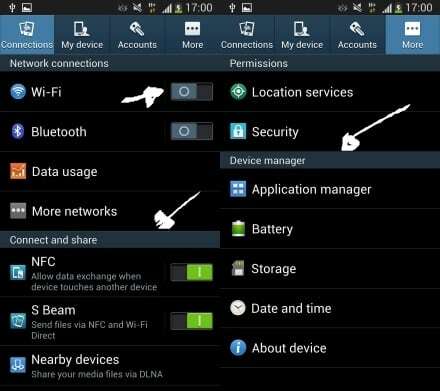 You can test the screen yourself, the most easily by going in settings and scrolling up and down. Look at the grey items such as the on/off buttons or menu titles and see how they turn purple while scrolling like in the image below (thanks to user ‘problems’ from xda). The issue is that this happens every time you have grey or similar items on a dark background. This method will adjust the rgb values of the screen. Download Screen Adjuster from Play store. Then run the program and set the values of the green, blue and red colors from 5 to 10 (preferably 5). Then turn on the filter and that’s it.